Can I let you in on a little secret? I never, never, ever "match" thread color to my fabric I'm about to blanket stitch around. Never. These variegated threads do all the work. They provide blend and gentle pop of color all in one spool. 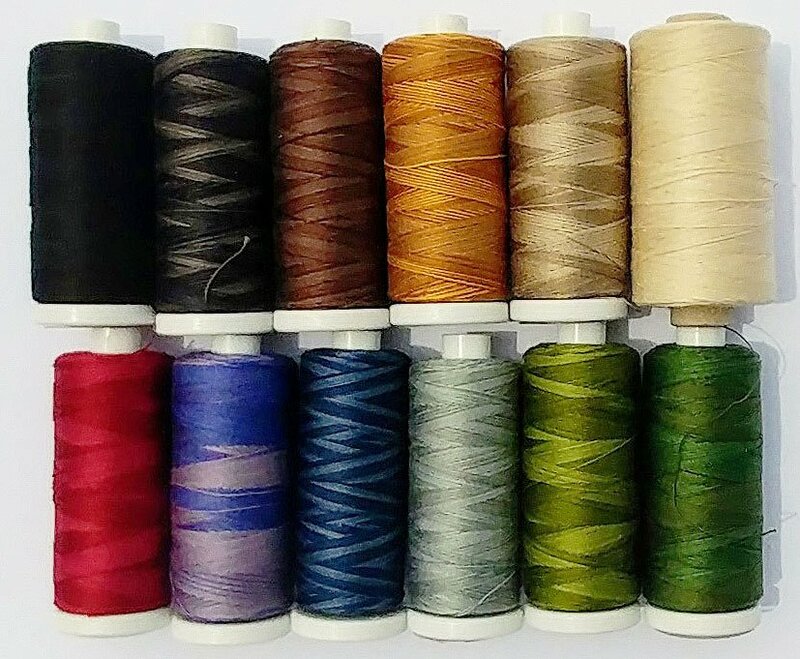 I love this thread collection, which is the ONLY reason we carry any thread at all. So, if you find thread to be a bottomless pit of daunting information, weights, colors, etc., then maybe this is an easy solution for you. Colors include: H207 darkened blue, M43 vibrant reds, M81 backyard honeycomb, O126 old cottage grey, P4 aged white, O526 green pastures, P12 brown, O511 black sea, O178 tea dyed stone, JP12 seaside, O562 horizon storm, O560 morning grass. Actual colors may vary slightly from your screen color. Though,we will tell you these are ALL the colors that Julie uses on her models, so they're not too bright or too primitive in case you've any doubts.